I thought it would be fun to do something a little different with the 5 Ways post today. I’ve got a real room with real decorating dilemmas and solutions to share with you today. Reader Julie sent some pictures of her family room, and we’re going to come up with some ideas that will help her to Redo This Room! 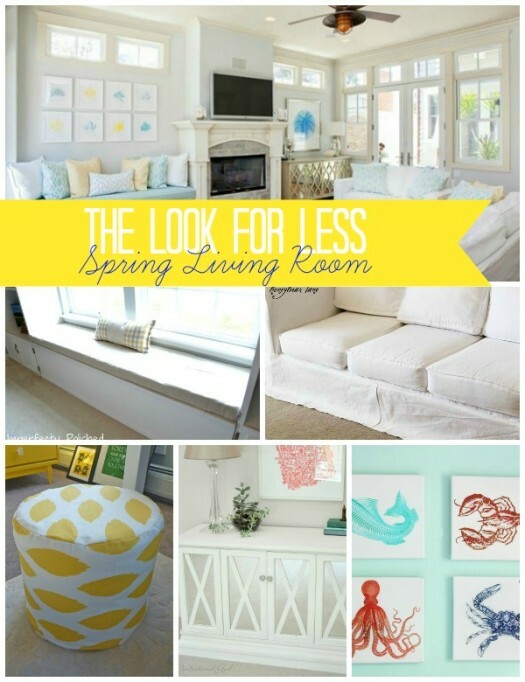 I spotted this lovely living room at House of Turquoise, and it just seemed to embody the fresh, airy feeling of Spring. The living room that caught my eye looks so light and cool with it’s combination of washed out sun yellow and sky blue. I definitely love the custom woodwork (that window seat!) and the eclectic blend of furnishings. I’m happy to say that if you want a room like this, you can have it! I’ve collected tutorials for projects that can help you copy some of the fun design elements of this room and put them in your own house. Enjoy! There’s a chill in the air here that’s making me crave all things cozy. I’m sure that’s one of the reasons I’m drawn to this Pottery Barn styled family room. Along with the cozy factor, it offers a good, neutral palette that let’s the holiday decor take center stage. 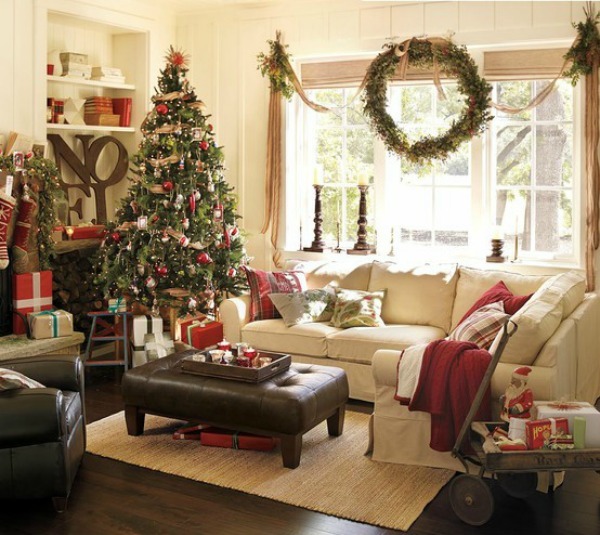 It’s fun to see how nice the traditional red and green of Christmas look when showcased in a very neutral room. I challenged myself to find five tutorials for DIY versions of items in this room.